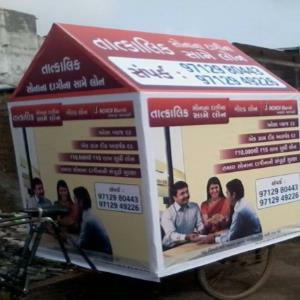 Tricycle Campaign advertising service is a powerful and cost-effective choice for your next advertising campaign. The large billboard panels stand out, and since it's double sided - you get two times the exposure of regular mobile billboards. Tricycle Campaign advertising service makes tricycle advertising a great choice for businesses and event organizers looking to generate a good return on investment on their next event, promotion or advertising campaign. Tricycle Campaign advertising service is a very effective eye-catching advertising performance. We generally put up the tricycles stand by on a busy street, cross roads during peak hours and pass round the roads rest of the time. The tricycles move up street to street on pairs or in rows of many.